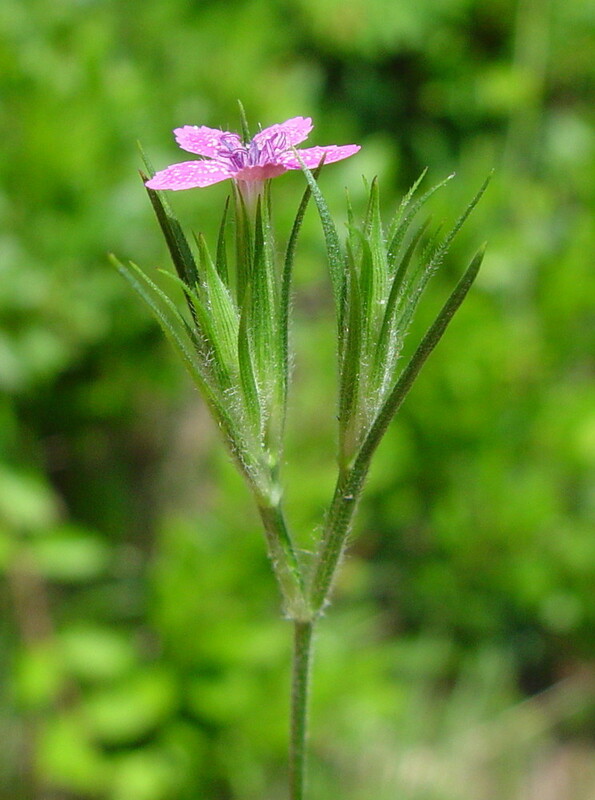 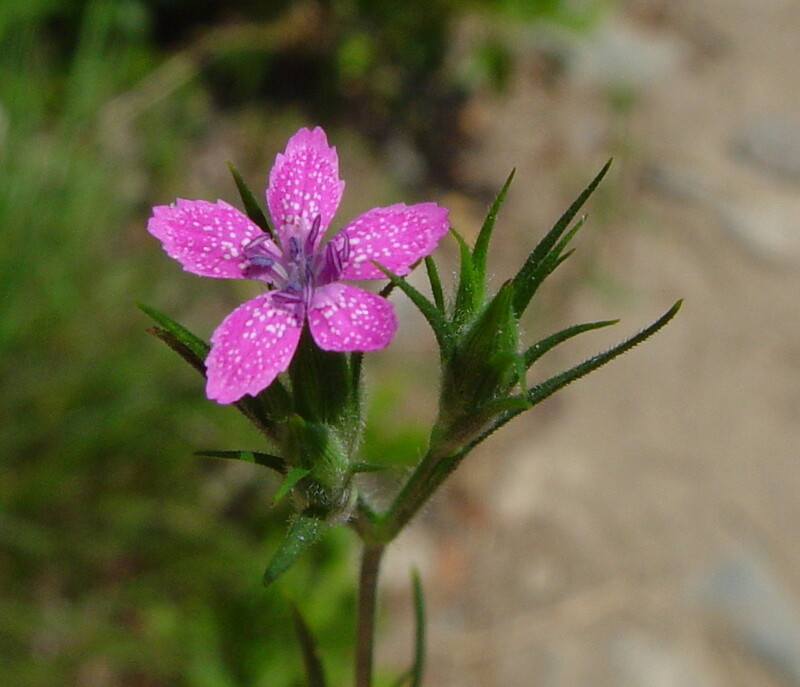 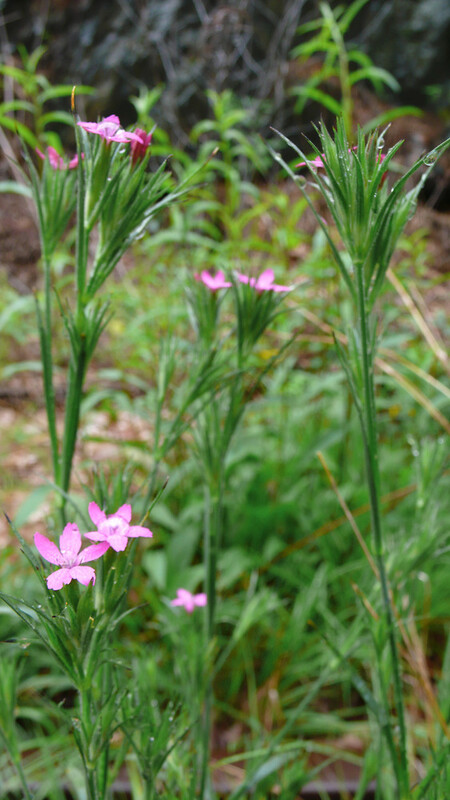 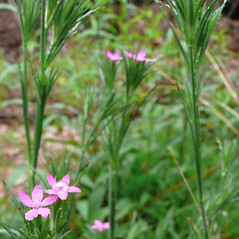 The Deptford pink is a European species, introduced and widespread in North America. 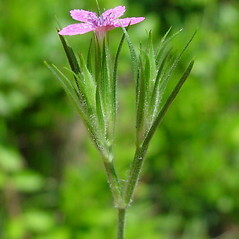 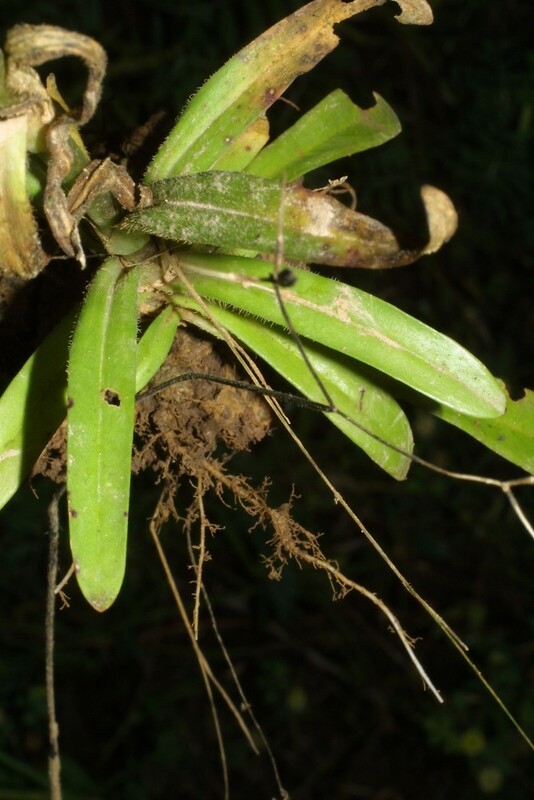 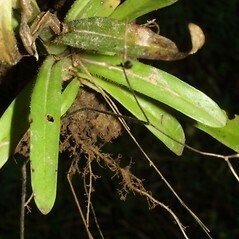 Its name refers to the English town in which this species was formerly common. 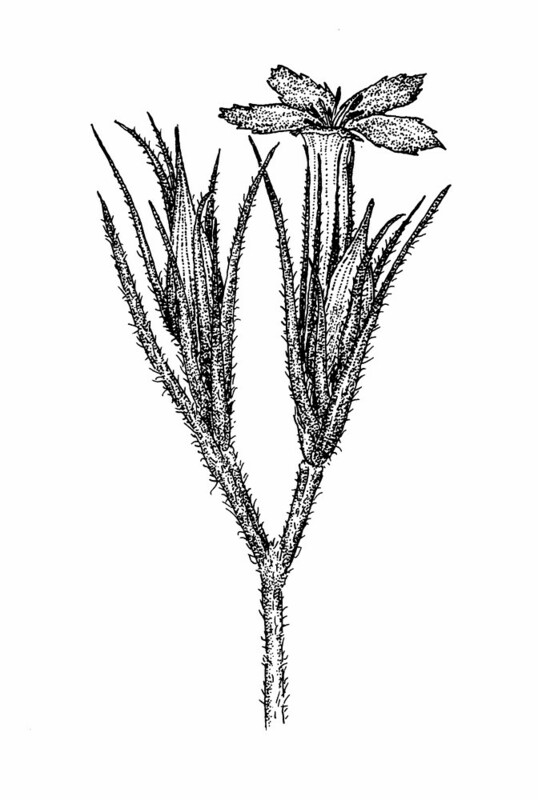 Deptford is now a part of greater London. 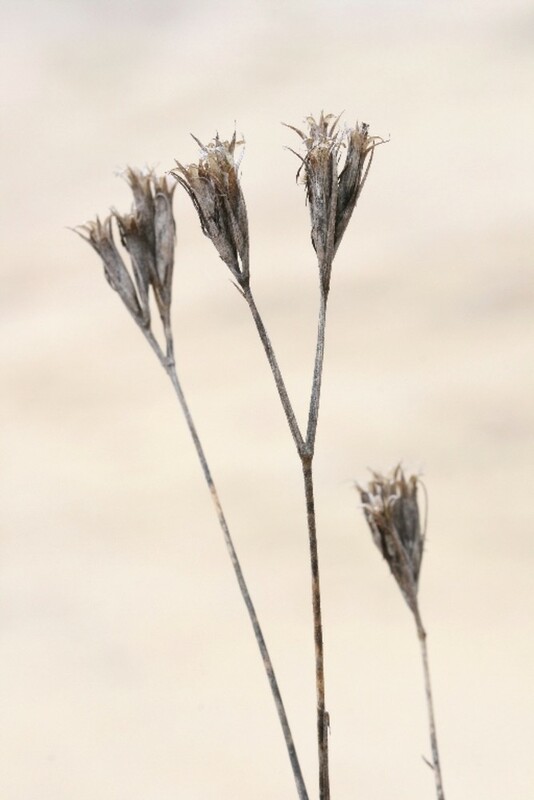 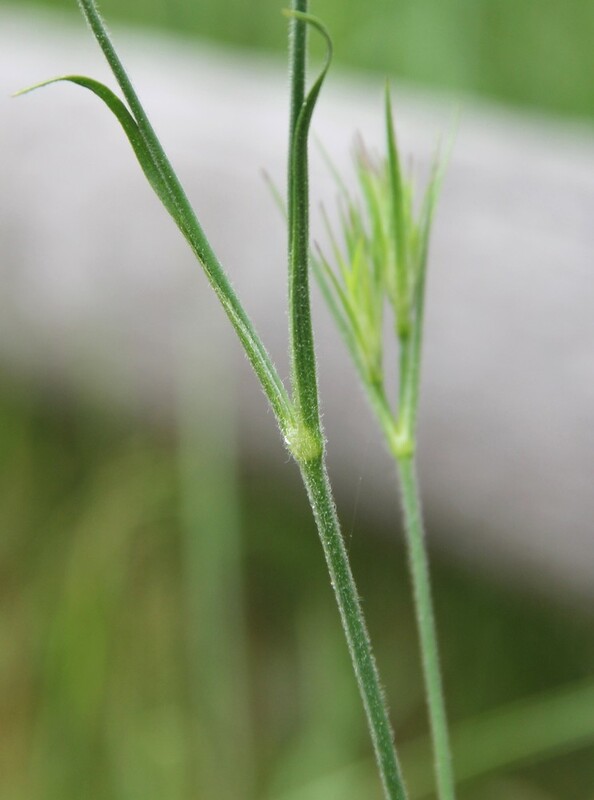 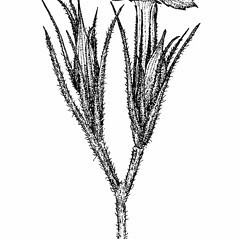 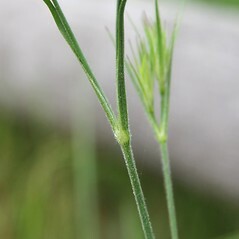 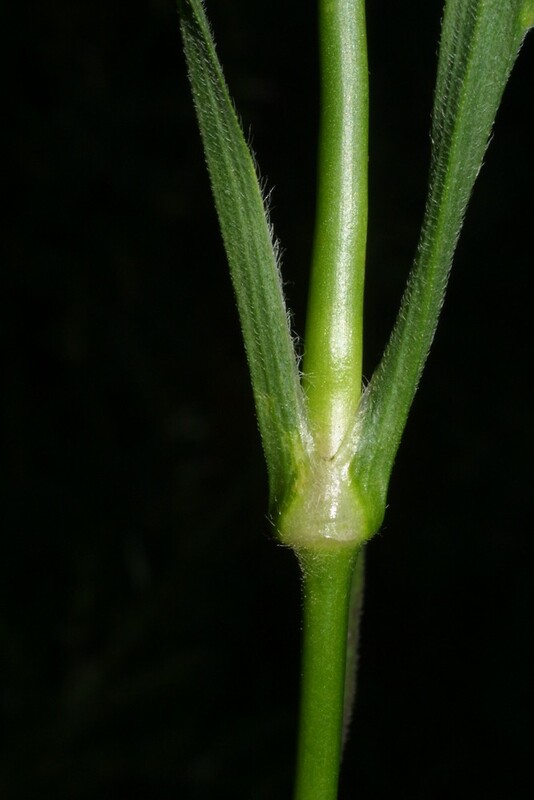 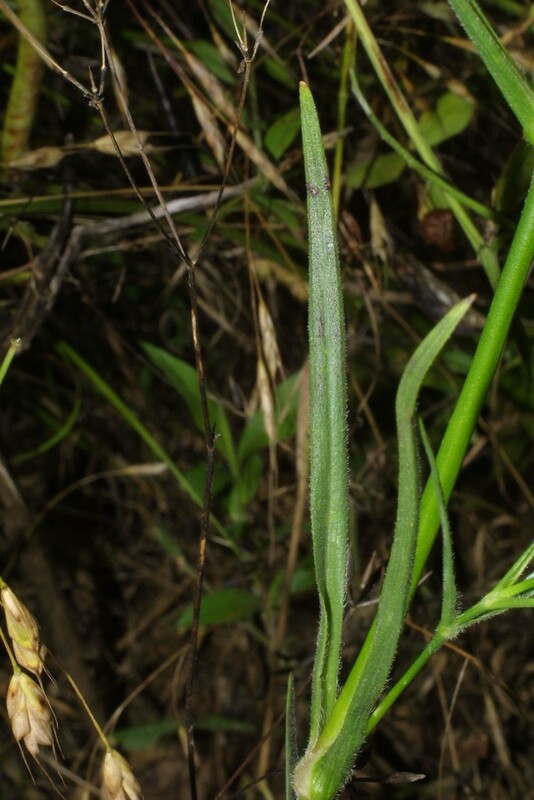 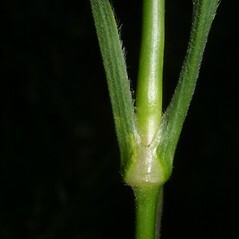 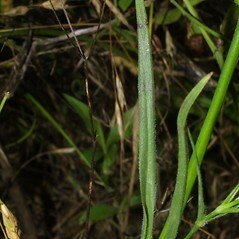 sepals without hairs, stems without hairs, and plants perennial (vs. D. armeria, with sepals hairy, stems with hairs at least beneath the nodes, and plants annual or biennial). 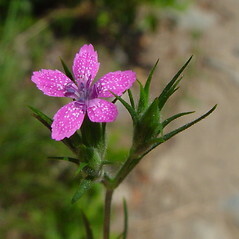 Deptford pink. 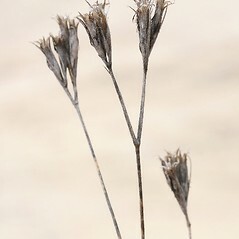 CT, MA, ME, NH, RI, VT. Fields, roadsides, and other sandy or gravelly, open areas.